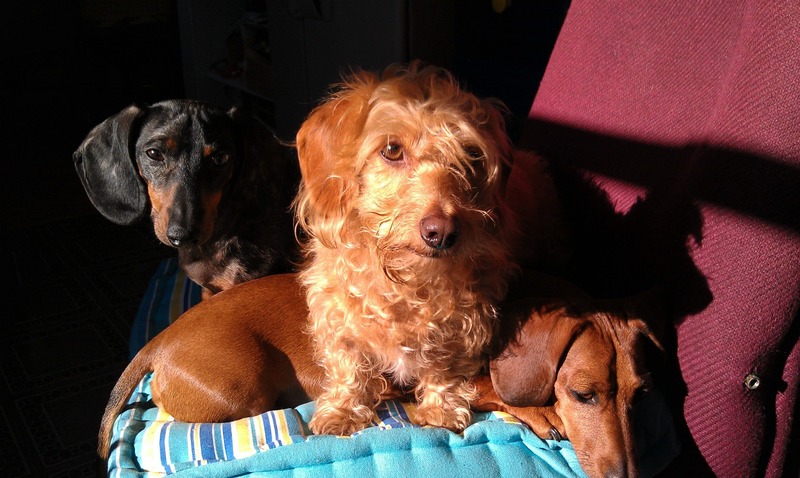 My Three Doxsons: Do your Dachshunds "Skip to my Lou"? 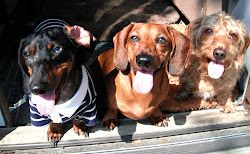 Do your Dachshunds "Skip to my Lou"? Do your dogs "skip to my Lou"? Both Spaatz and Fooze do. Meaning, they skip using one of their back feet while walking. With Spaatz its the right and Fooze its the left. Miss Peaches does not do this, she does the "double footin". That's another story. You can see Spaatz do this clearly on our morning walk,With Fooze its a little tricky, he's all over the place. He insists on being over the white line and you have to keep pulling him over as we have no sidewalks and not to much shoulder. We are on our way to a farm down the road where we can let them run like crazy. Its like a doggie amusement park. The can't get enough.